Renowned structural engineer Dr. Vannevar Morgan seeks to link Earth to the stars -- through the construction of a space elevator connecting to an orbiting satellite 22,300 miles from the planet's surface. The elevator would lift interstellar spaceships into orbit without the need of rockets to blast through the Earth's atmosphere-making space travel easier and more cost-effective. Unfortunately, the only appropriate surface base for the elevator is located at the top of a mountain already occupied-by an ancient order of Buddhist monks who strongly oppose the project. Morgan must face down their opposition-as well as enormous technical, political, and economic challenges-in order to make the project successful. 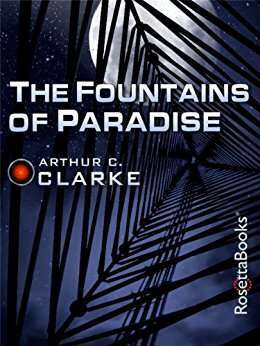 Winner of the Nebula and Hugo awards, this novel combines believable science based on the knowledge of the time with heart-stopping suspense-sure to delight science fiction readers and fans of Clarke alike.